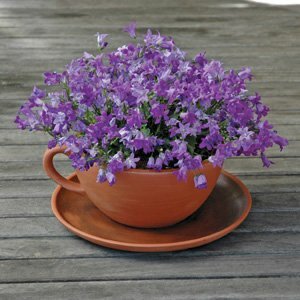 Just the same as our very popular Teacup & Saucer Planter, only much bigger, so you can enjoy larger plants. Teacup has a hole in the bottom for drainage, saucer is glazed. English terracotta.